Although zucchini is a common summer vegetable in both the produce section of the grocery store as well as the backyard garden, until the early 20th century, it was hardly recognized in the United States. Today, its popularity is most likely due in large part to its prolific growth and culinary versatility; zucchini is not only a common vegetable side dish but can also be incorporated into breads and desserts. And, of course, the long, thin squash can be transformed into "zoodles," a nutritious alternative to traditional spaghetti. Zucchini, Cucurbita pepo, is a member of the cucumber and melon family and is harvested while immature making the rind tender and edible. 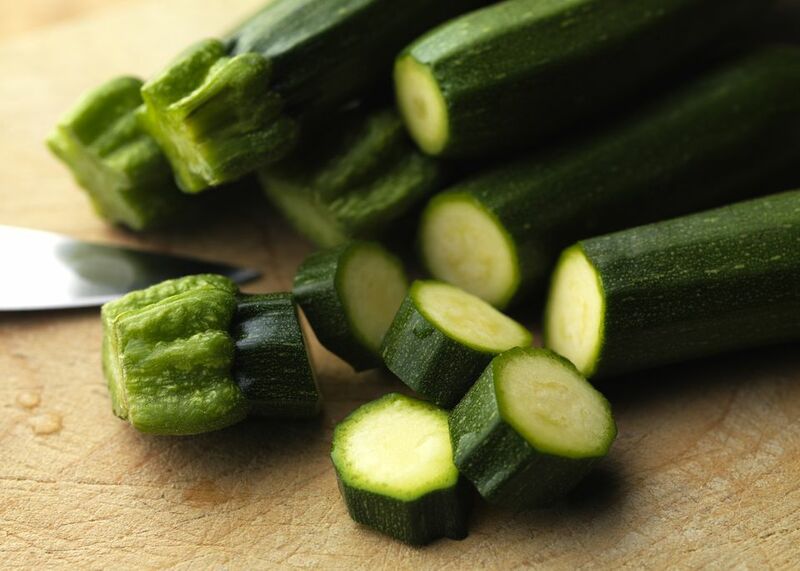 Smaller-sized zucchini are more flavorful and contain less water than the larger varieties. Although zucchini are botanically a fruit, it is treated as a vegetable. It was derived from a similar vegetable that was common in Mexico and the northern parts of South America thousands of years ago. Inhabitants of Central and South America have been eating an ancestor of zucchini for over 7,000 years, but the zucchini we know today is a variety of summer squash developed in Italy. In fact, the zucchini was formerly often referred to as "green Italian squash." The Europeans who began the colonization in the Americas brought the vegetable back to their homeland, where its cultivation began. The word zucchini comes from the Italian zucchino, meaning a small squash. The term squash comes from the Indian skutasquash meaning "green thing eaten green." Squash was one of the main foods the Native Americans ate, along with corn and beans. Christopher Columbus originally brought zucchini seeds to Europe and the Mediterranean region but the vegetable wasn't used in its current form until the late 1800s or early 1900s; there is a published account of a "zucchini" being cooked as it is today in Milan in 1901. It is believed that zucchini was brought to the United States by Italian immigrants in the 1920s and most likely first cultivated in California. However, there is a record of zucchini being one of 60 vegetables grown in New York State in the year 1928. Today, zucchini is not only widely-recognized as a green vegetable but also as a particular favorite of home gardeners. Zucchini grows very well in most areas of the country during the summer, is easy to care for, and often produces a generous crop. Although the term summer squash can mean a variety of different squashes depending on to whom you are speaking, you can pretty much use the different summer squash varieties interchangeably. Other summer squashes include round zucchini, crookneck, pattypan, zephyr, cousa, and tutama squash. Summer squash differs from winter squash in that the rind of the latter is hard and often inedible.